Boston’s Erin Og, is based in Boston MA, possibly the most Irish city in the USA. Boston’s “Erin Og” translates to Young Ireland and with good reason. BEO is the next generation of Irish ballad groups, continuing the legacy of Irish music left to the world by the great bands of the past. ie. Dubliner’s, Wolfetones. We are once again pleased to have one of the premier Irish Showbands back with us for another season. The Noel Henry Showband provide entertainment for the entire family from young to old. 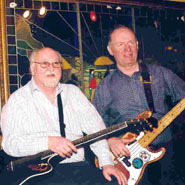 The band plays a variety of Irish, folk, country and rock music. For more information about this band please visit their website. His talent and versatility provide the ability to deliver a song directly to the hearts of his audience. Andy is surely one of the greatest singing sensations on Irish Music scene today. Christened “Irish America’s Favorite Son” by The New York Times, is a title he truly deserves. 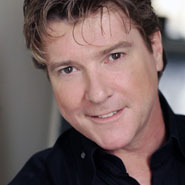 Paul Kenneally was born in Boston and is the youngest of six children. His ancestors hail from Ballygarvan, County Cork. He attended Berklee School of Music, where he developed superb skills and versatility on keyboards, saxophone, banjo, mandolin, tin whistle, and vocals making him a tremendous asset to the band. Dublin born singer/songwriter, Dave Hickey emigrated to the United States in 1984. 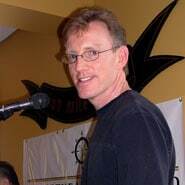 He has been entertaining audiences on Cape Cod and in the Boston area since 1991. His repertoire includes Irish and American folk songs and ballads. 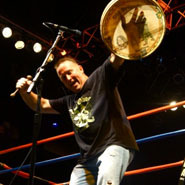 Performing as a single or occasionally in a duo, he accompanies himself on acoustic guitar and is a favorite on the Irish Festival and Pub circuit. 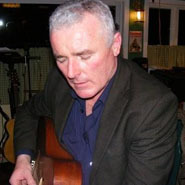 Dave plays many of the old Irish standards as well as more contemporary Irish folk. 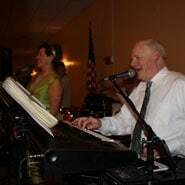 Andy Healy and his band have been providing Irish music for all occasions in and around the Boston area for almost 30 years. 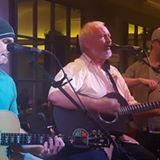 Derek Warfield is one of the great Irish ballad singers but he’s also much more – a founding member and long-serving front man of the legendary Wolfe Tones, a charismatic all-round performer, a historian, retriever and writer of songs and a man who cares passionately for the Irish song tradition. Derek, the eldest of four children was born in Inchicore, in Dublin in 1943. He was educated at Synge Street C.B.S. and was apprenticed as a tailor, only to find the lure of a musical career irresistible. Damaris Woods, lives in Co. Meath and is recognised as one of the foremost banjo players of all time and her exceptional style of banjo playing and her trademark triplets has other musicians striving to replicate it. Andrew Sharp from Bayonne, New Jersey, has spent his entire life emerged in the traditional music and dance of both Ireland and Scotland. Andrew has won a variety of both Irish and Scottish Performing Arts Awards as a multi-instrumentalist and dancer. Dublin’s Peadar Hickey has been delivering the songs of Ireland’s history to audiences at home and abroad for over a decade. A regular fixture on the Dublin city folk and traditional music circuit. 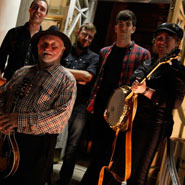 Composed of Declan Houton, Larry Flint, Steve O’Callaghan & Chuck Parrish, Devri is an exciting and dynamic band from greater Boston, with major ties to Ireland. 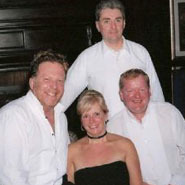 The band plays all styles of Irish music, as well as classic and modern rock, country and folk. Instruments include Fiddle, Mandolin, Banjo, Acoustic and Electric Guitar, Bass, Whistles and Drums; we also can add Sax & piano if desired. One of the best up and coming bands in the Boston area they are an energetic group who can move from the faster stuff to ballads with ease. John and Martin are two of nature’s gentlemen and their wide array of music keeps all of our patrons entertained throughout the night. Check on our our entertainment calendar for their dates and come enjoy their music. An easy band to get up and dance to. Fintan Stanley the man, the myth, the legend. 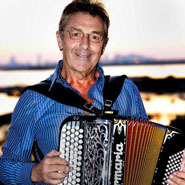 An absolute genius on the accordion, he has performed world wide from Vienna to Clogherhead and from Cape Cod to Florida. Come and experience his amazing music for yourself! 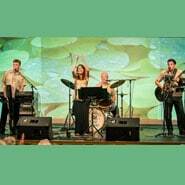 Irish Whispa is a Boston area based band who are immersed in Irish music and culture. 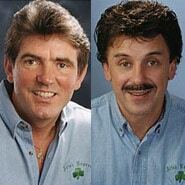 We strive to keep traditional Irish ballads alive! Our style is influenced by the Dubliners, Wolfetones, Pogues, Irish Rovers, Clancy Brothers, Christy Moore, & many others. Danny Gill and The Old Brigade. A very quiet humble person with the face of Matt Damon and the voice of Celine Dion. Margaret Dalton and Erin’s Melody has been a staple on the Boston Irish music scene for years. They are a wonderful band who plays Irish, country, and popular music. 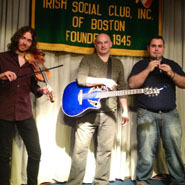 The band has Milton roots and is well known to the Boston Irish community.